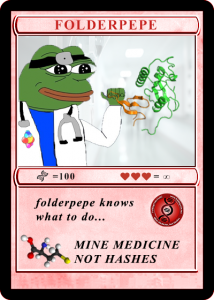 In extension of our ongoing collaboration with the Rare Pepe Foundation, we have created a very special certified Rare Pepe card: FOLDERPEPE is card No. 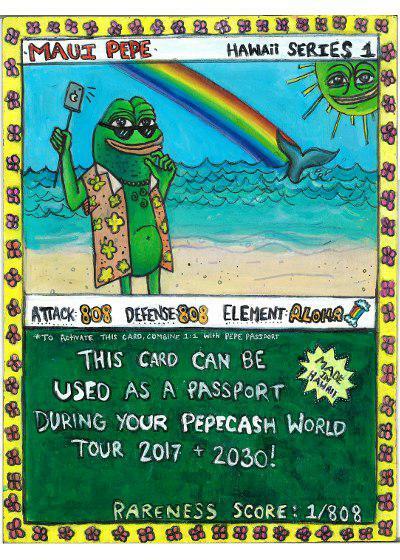 50 of Series 3 in the Rare Pepe Directory; a limited edition of only 600 cards which will exclusively be distributed to qualified folders contributing to Stanford´s Folding@Home (FAH) project through the Foldingcoin platform. 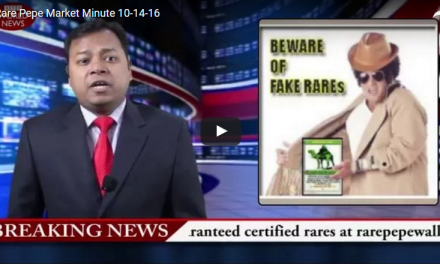 These cards are collectibles that are freely tradeable for other counterparty tokens like PEPECASH or XCP on the Counterparty DEX, by posting offers on rarepepewallet, the Book of Orbs, IndieSquare, FreeWallet, through Counterwallet, or for bitcoin through btcpaymarket. 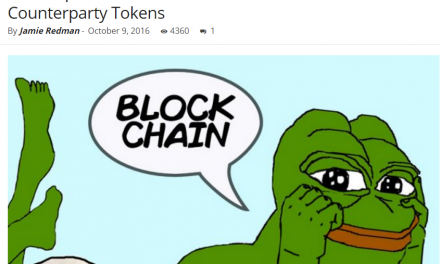 Be amongst the first 40 folders in the current month to post your FAH username on our new #folderpepe Slack channel making sure your username conforms to the FoldingCoin naming conventions as outlined in last month´s PEPECASH merged folding announcement.